For up to the moment ongoings check out our Facebook page. 4/2/2019 - Things have slowed down a little but that is expected. 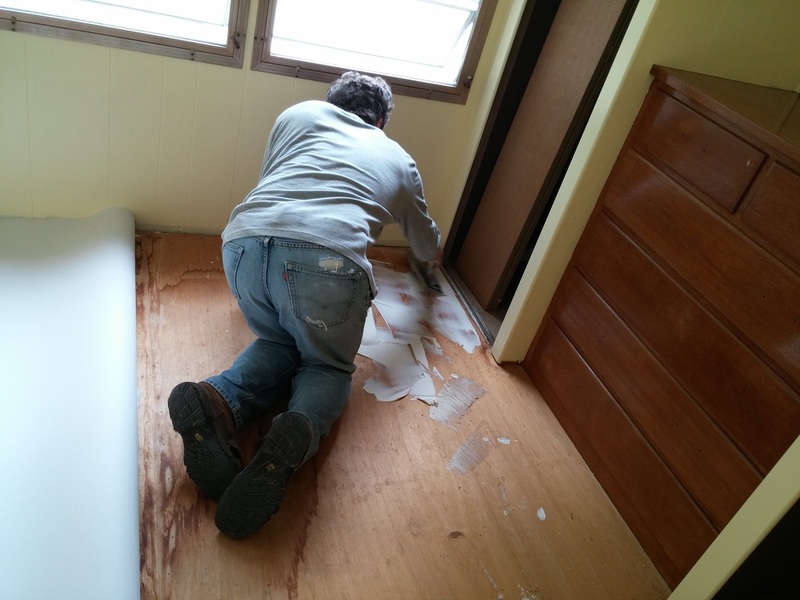 The volunteers are thankful for the relief as they work so hard during the rest of the year. It hasn't been all work, though. We just hosted our first Comedy outing at the Gardner Legion and turnout was fantastic. We are looking forward to our upcoming Yoga & Painting events as well as our 1st Yard Sale of the year in May and BINGO! It never really slows down...We have adopted out 88 cats so far this year. 2/5/2019 - It's been a busy year so far. Can you believe it's already the 5th of February? We have adopted 41 cats to date and have already hosted 2 kitten yoga sessions in Winchendon. Hannaford's has us down for their bag program during the whole of February. If you buy one of their reusable bags Ahimsa gets $1. Also coming up is a comedy night with Jerry Caruso and more yoga. Check out our Upcoming Events page for details. 12/24/2018 - On this Christmas Eve we wish everyone a happy and safe holiday. This is a nice time to reflect on all of the good we've done, not just at Ahimsa but also in our own lives. 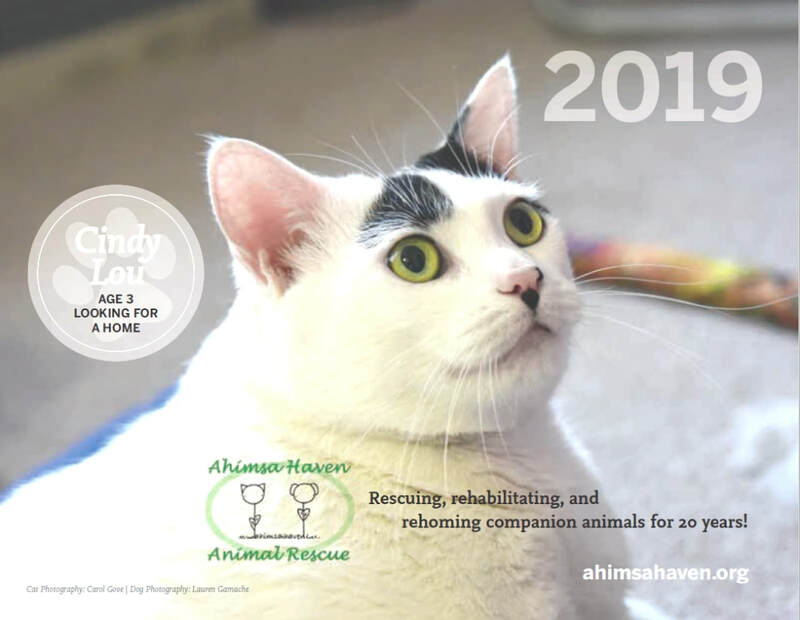 We at Ahimsa will continue to rescue many animals in the coming year to the best of our abilities and we hope that you will continue to support us in any way you can - mind, body, or spirit. Thank you to all and to all a good night! 11/27/2018 - Hope you all had a great Thanksgiving Day. Our Auction Night went splendidly and I think we all had a good time. Nicole and team did a remarkable job of making our first Auction go smoothly. The food was excellent and it was a trip to have a real live auctioneer, Jay Beard (complete with cowboy hat), work the crowd. We hope you'll join us next year to help support the cause. P.S. Ed won $5 from the Lottery Tree (unsmiley face). Better luck next year! 11/12/2018 - Just passed the 400 mark. We have adopted out 401 unique cats! Also looking forward to our upcoming Raise Your Paws for a Great Cause Auction Night this coming Saturday. It's our first so we are excited, nervous, all that. We will be having Live & Silent Auctions as well as what we are calling the "TAKE A CHANCE AUCTION" which is our unique version of the Chinese auction. Plus, there will be a 50/50 raffle and a chance to win out Lottery Tree. We just finished up another PetSmart Adoption Event where we had a bunch of volunteers showing off our cats. It's a dedicated crew we have down there. 10/4/2018 - Our calendar campaign is going well but there are still a few copies left at our shelters and at PetSmart. 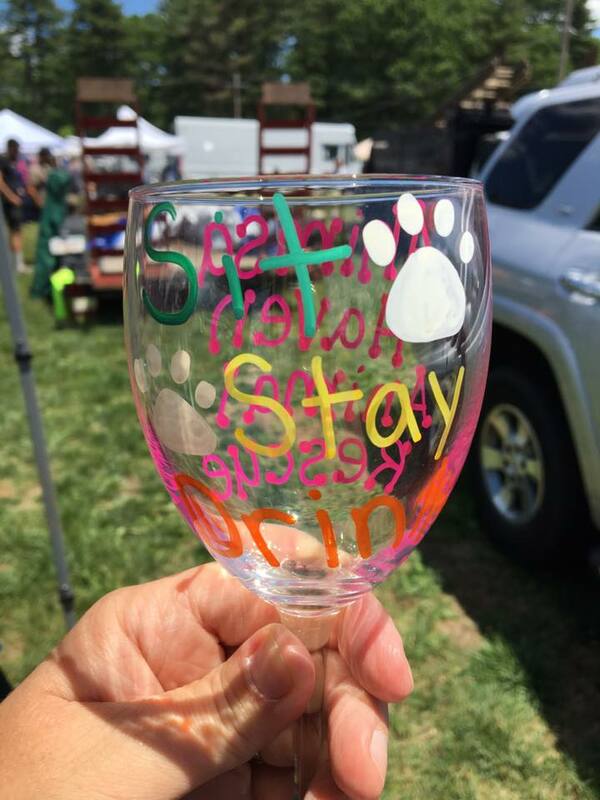 Won't you please help support the shelter in its mission by purchasing one (or two)? The cost is $20. Also, we have adopted out 335 cats, 18 dogs, and 1 pig so far this year. Yes, one pig! Look for us at the upcoming Winchendon Fall Fest (10/6) and Westminster's Cracker Festival (10/20). 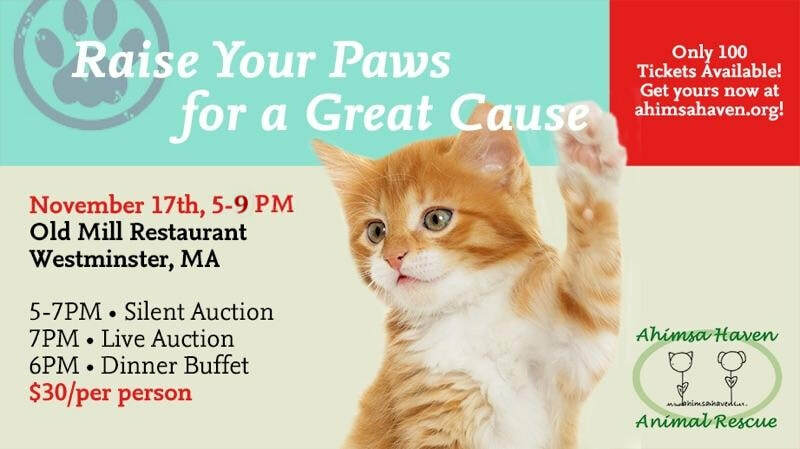 Plus, be sure to be on the lookout for your chance to purchase tickets to our auction extravaganza, "Raise Your Paws for a Great Cause" (11/17). It is sure to be an exciting time for Ahimsa as we venture into the big times! 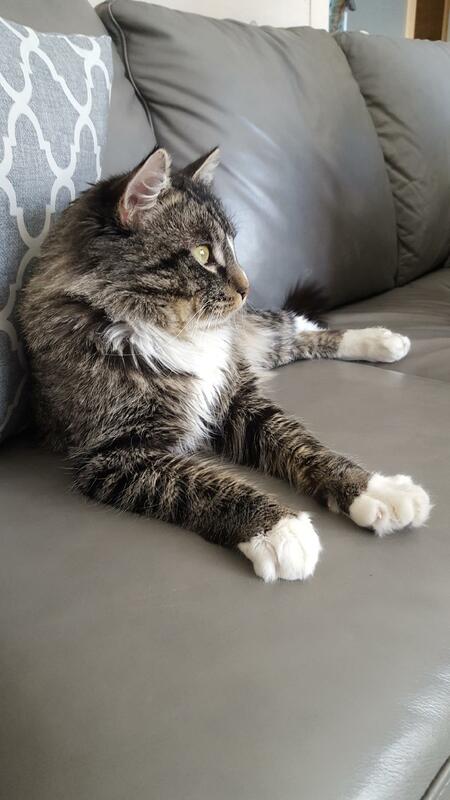 9/1/2018 - It took a while but our resident cats Aussie & Didger finally got adopted today...after 533 days. These two brothers were found under a trailer and were shy of people from the start. It was going to take a special family to come along and give them a chance and that special family saw them last week and fell for them. They will give Aussie & Didger the time and space they need to blossom. We are all happy and sad at the same time to see them go as we all got used to seeing them around. Good luck little ones. 8/12/2018 - This Sunday we had a little going away get-together at our Winchendon shelter for Carol Gove. She worked diligently to transition A Better Tomorrow into Ahimsa's hands this year and ran Ahimsa's new shelter in a way the old volunteers were accustomed to and this made for smooth sailing. We will miss her guiding hand and the many wonderful kitty photographs that helped get our cats adopted. Thank you! 8/2/2018 - We'd like to take time to say thank you to our exiting Board Member Hope Finch. She joined us back in 2016 when we merged with her group C.A.R.E. For Your Pet, Inc. She is resigning from the Board to pursue other family-related causes and we wish her great success in the future. We had some good and productive meetings at her place in Winchendon and we will miss our time with her. 7/17/2017 - Hoodsie was rescued by a wonderful couple who brought him to us after being found in very rough shape. With a lot of TLC from our volunteers he has grown to be a handsome boy! His rescuers decided he would be a great fit for their furry family of three! We will miss this guy! The transformation has been amazing!!! 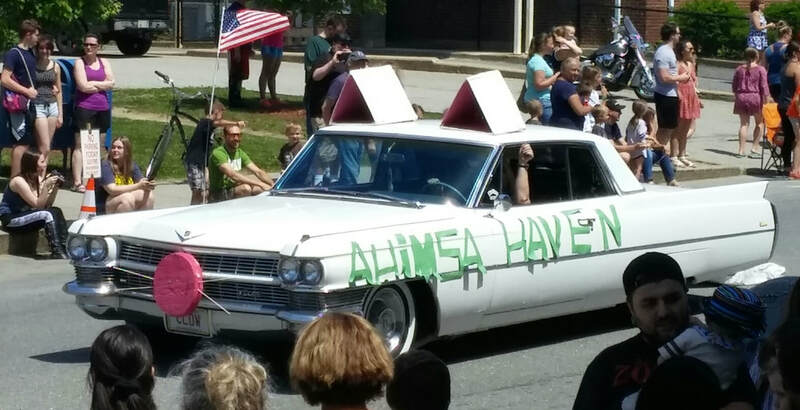 6/16/2018 - The Summer Solstice Festival in Winchendon just finished up and Ahimsa participated in the parade and set up a booth. We met a lot of fine folks and the Cat-O-Lac was a hit in the parade once again. 6/6/2018 - We received a good bit of news recently. We were awarded a grant from the Robinson Broadhurst Foundation because of our fine work at the new shelter in Winchendon. Robinson Broadhurst is Winchendon-centric so we were unable to apply in past years. This year, however, we let their committee know that we expected to adopt 90 cats from our new place and they rewarded us with money enough to spay/neuter/vaccinate/test all of them. That is a load off of our minds because the cats are flying out of there. 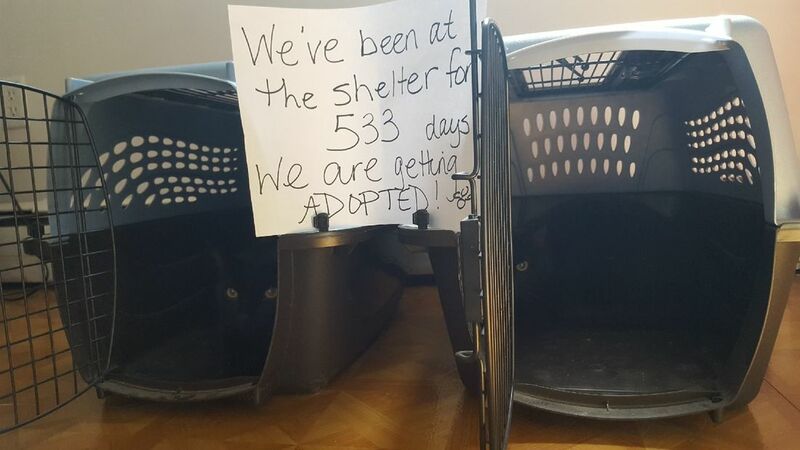 We have already adopted 54 cats from there and we've still got 7 months to go. 4/30/2018 - Great news! Our long time residents Aloha and Armani finally went home yesterday. It only took 442 days (that's sarcasm). For a long time they were roommates with our other perennial residents Aussie and Didger. More recently, they migrated to our Winchendon shelter for some more human face time and comfier digs. Guess that worked out well. They originally came to us from a hoarding situation along with their momma Jazzy (adopted a number of months ago). Although it is always sad to see our old friends leave we are happier knowing that they have found a new home. Have a good life little ones. 3/31/2018 - We have surpassed 100 cat adoptions already. To put this in perspective we adopted out a total of 276 in 2017...and that was an excellent year. In other important news we just had our first dog training session in anticipation of bringing some dogs back into the Templeton shelter. It's been empty for a while as we figured out what we wanted to do going forward. We expect them to start showing up soon. Contrary to what we used to do, the dogs will only be viewable upon appointment and not during our normal Open Hours. We found that the dogs were just getting too amped up and some of them were just not benefitting from lots of strangers demanding their attention. We are doing this in an attempt to do the best for the dogs as it is our goal to serve their needs first. Finally, Asher and her buddy would like to wish you all a very Happy Easter! 3/12/2018 - Just got our new signs for the Winchendon Shelter and they are looking very cool. 2/24/2018 - Things are cruising right along at the shelter. 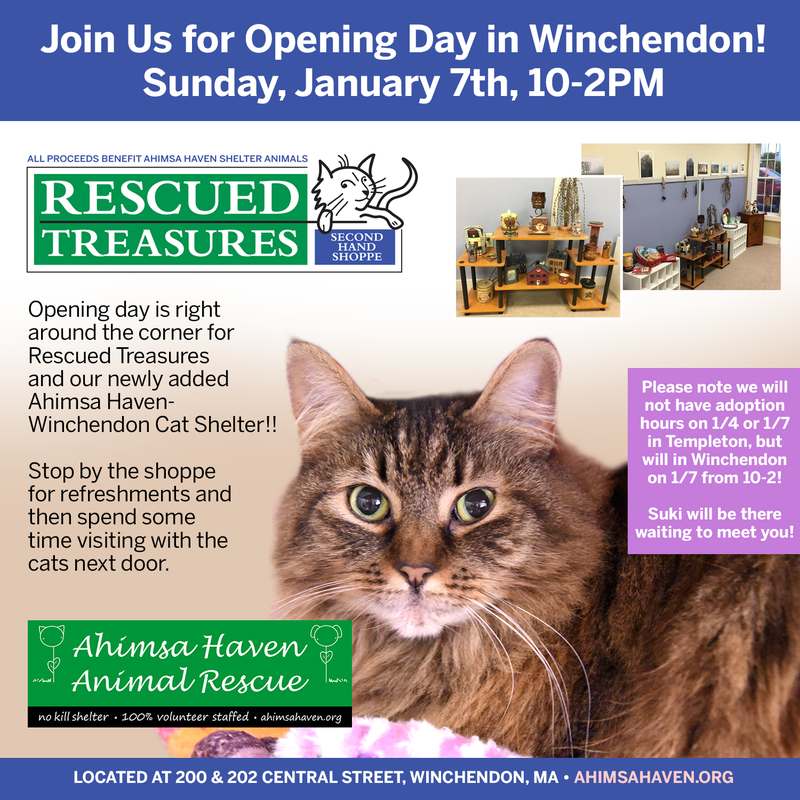 Winchendon has been a great success and Rescued Treasures is do well. We can't wait for the warmer weather when we expect traffic to pick up even more. 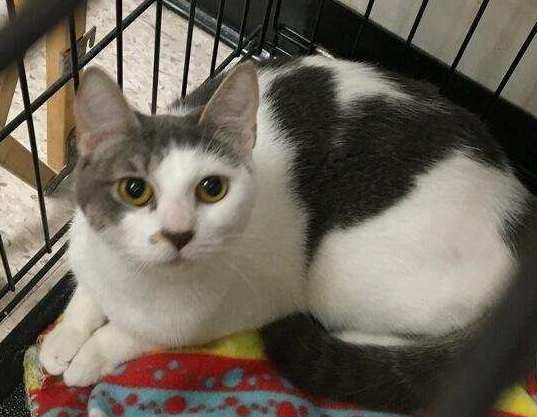 With the number of cat adoptions lately, ~64 in all, we are finding that our shelter in Templeton and the PetSmart adoption window are becoming difficult to fill...but that's a good thing! Plus, the number of Take A Chance On Me cats has dwindled from about 20 down to 8 since the beginning of the year. Truly wonderful to see. 2/3/2018 - Here's Henry. Walked into his new home like he owned the place. This cat literally came off the street, was fixed up and vetted, and went into a new home within one week. How many volunteers "touched" this cat? at least 20. 1 - vet tech to do snaps, chips, deflea, deworm etc. This is just 1 cat 1 week. 1/27/2018 - It's been a great start to the new year and adoptions at our Winchendon Shelter have gone amazingly. 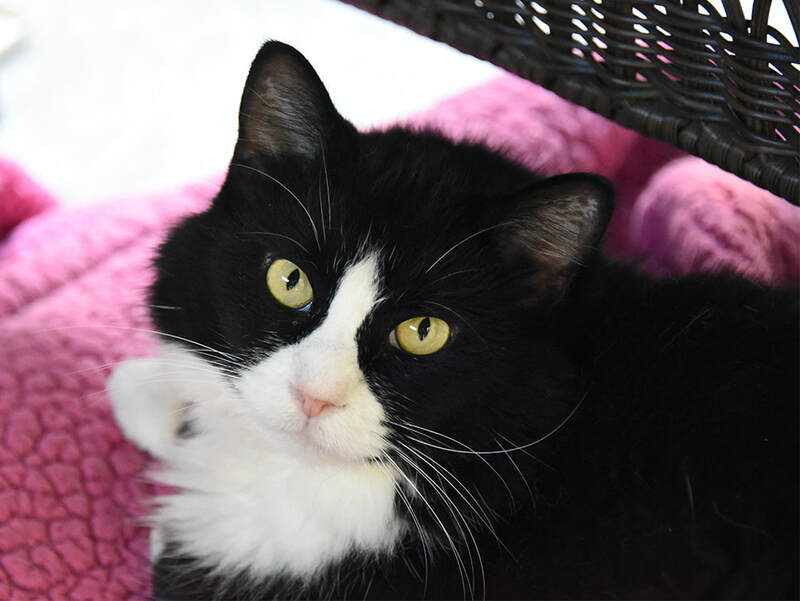 We even adopted out a few of our Take A Chance On Me cats, including Oliver, Suki, Dahlia, and Oreo. That has to be some sort of record for us. 1/7/2018 - Happy New Year to all and a happy new year it is, indeed. 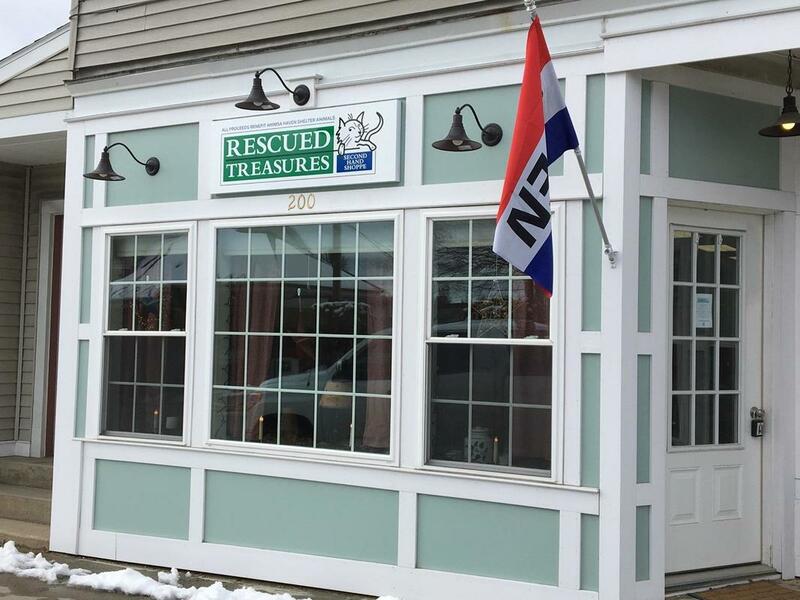 Today we opened our second shelter and our Second Hand Shoppe, Rescued Treasures. 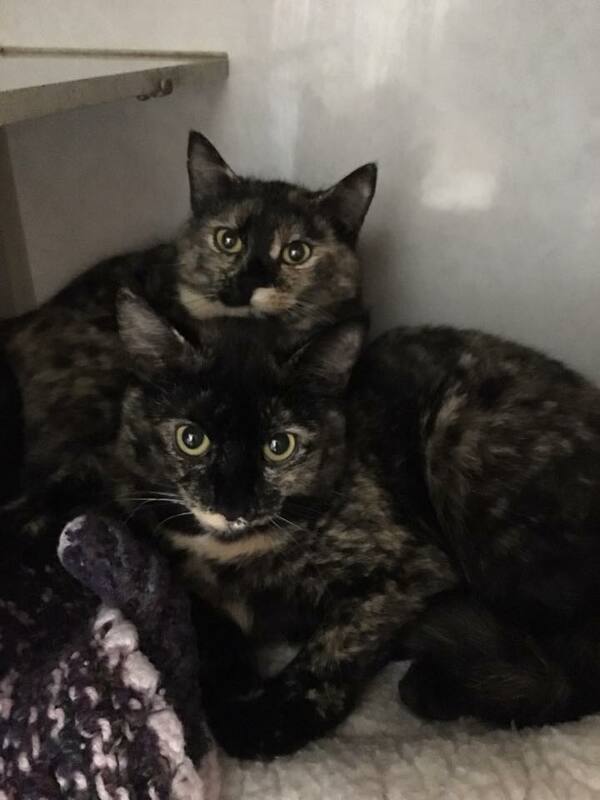 Both openings were well attended with the Shoppe having a fantastic first day and the shelter adopting out its first two felines, Annabelle and Mitsy. Thanks to all of you who could make it by today to support the launch. It really means a lot to those of us who have put in a lot of extra work to get the places up and running. Special kudos go out to Nicole, Carol, Callie, and Laura. 12/20/2017 - Our No fee program Take A Chance On Me had a couple more Holiday Success stories. Mira got a home today and that is wonderful news. She was diagnosed with FeLV. It is just fantastic when someone comes along who is only thinking about the cat. 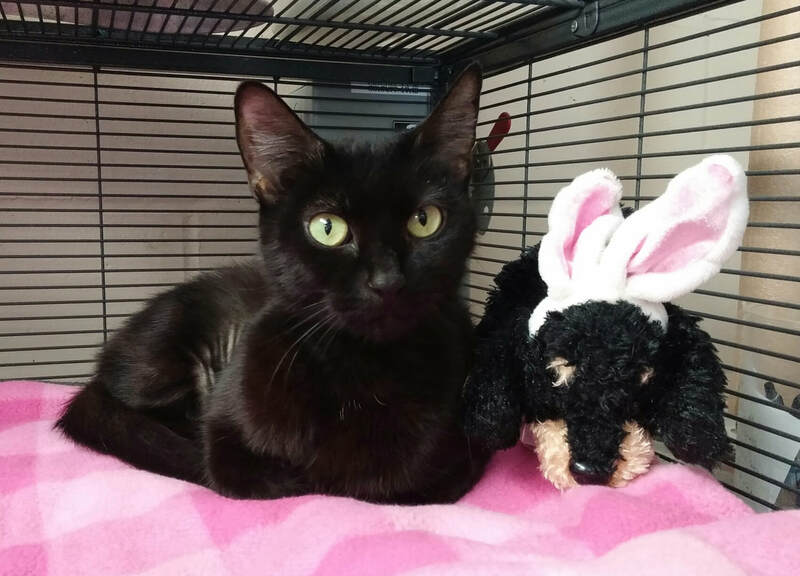 Her adopter has big plans for spoiling her rotten! Makes us think that Mira might be short for Miracle. From Honey's adopter - "Honey is doing well. She now lets me pet her, has rubbed her nose on my hand and even given my hand kisses. She is so sweet. She sleeps under my bed all night. If I'm in the kitchen she sits on the chair next to me. I really love her. Thank you once again for putting us together." 12/13/2017 - On Saturday we had our holiday get-together at the new facility in Winchendon. It was a great time to meet all of our new volunteers from A Better Tomorrow who decided to stick with us and our cause. There was lots of tasty food and our Yankee Swap was a true success. The Chocolate switched hands MANY times! In other news, we had a couple of very noteworthy adoptions. The 1st was Jazzy. Jazzy came to us in a hoarding situation back in February. We initially had her paired with her offspring, Aloha and Armani, but it was clear that a) trying to adopt the 3 together was nigh impossible and b) she was hanging out in the shelter pretty independently. We made the decision to adopt her out by herself and we think it was a good decision. She'll be spoiled for the holidays. Olive was adopted through our Take A Chance On Me program. This program encourages a foster-to-adopt situation - and there is a zero adoption fee. This is so the more difficult to adopt cats can find their homes. Truth be told, Olive was a bit stand offish in the shelter and volunteers had a bit of difficulty taking care of her. 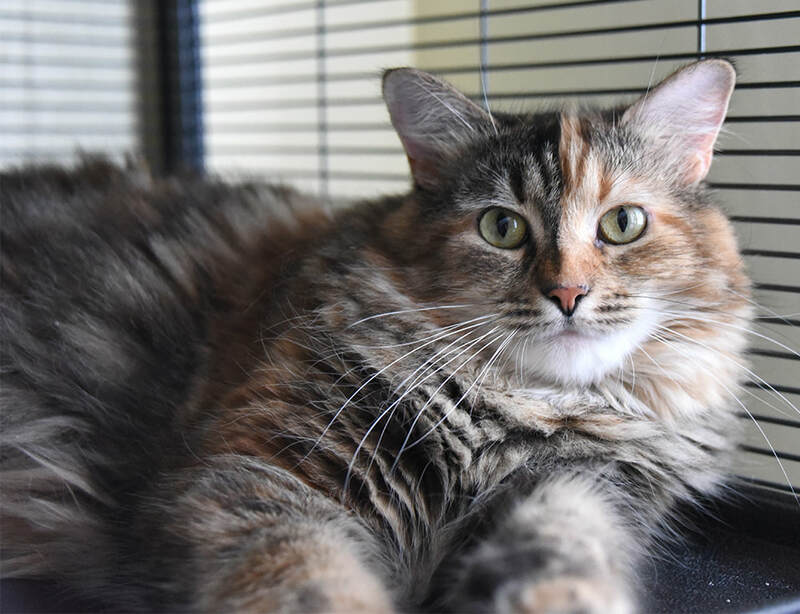 We knew she would be fine once in a home and, sure enough, Olive is enjoying life in her new home and is warming up to her new momma very quickly. 12/4/2017 - Our Holiday Fundraising Campaign is in full throttle and we've already raised nearly 30% of our $10,000 goal! We only just mailed out the donation request on 11/14 so that is a fantastic start and we can't thank our generous donors enough. 11/30/2017 - We just had a nice meeting last night with our A Better Tomorrow transition team and it went great. The one thing we really need some help with is finding a few more volunteers for the Winchendon location. Check out our Volunteering page to see some of the exciting positions and fill out an online application. 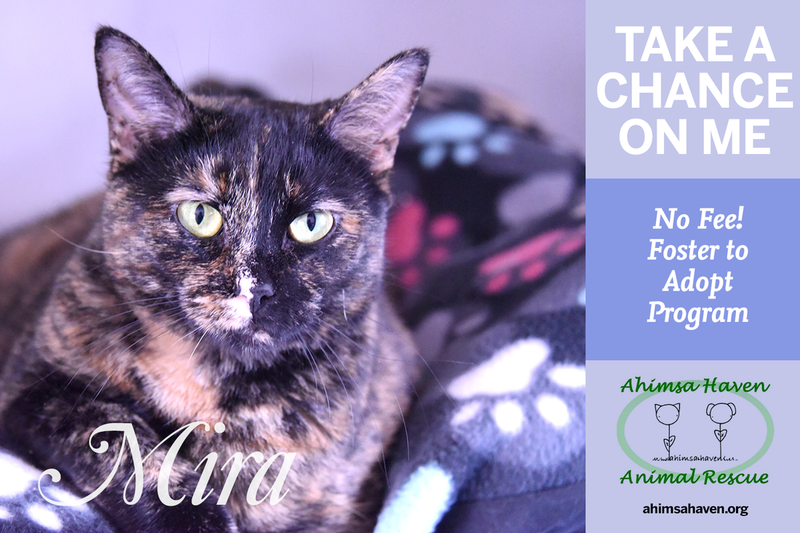 11/25/2017 - We had 20 cats available through our Take A Chance On Me campaign which showcases cats that need a special home and whose fees are zero. 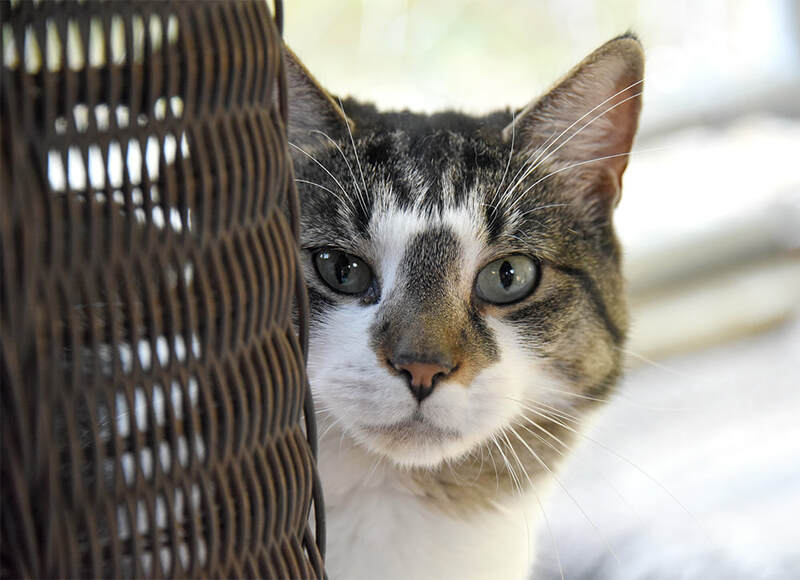 Today, Jonesy, one of our 3 FIV+ cats, went home with a young couple from Athol who has a young FIV+ kitty that needed a playmate. Now we are down to 19 cats. Who's next? 11/10/2017 - The Fundraising team is gearing up for the yearly Holiday Campaign. Expect to see our letter some time in the next week or so. Our volunteers will be able to see it on Facebook. In putting it together we finally take the time to review the accomplishments of the year and figure out where we are going in the next. Sometimes it's hard to notice that we all make a difference until we take the time to breathe and think about it. Congrats to our dedicated team! 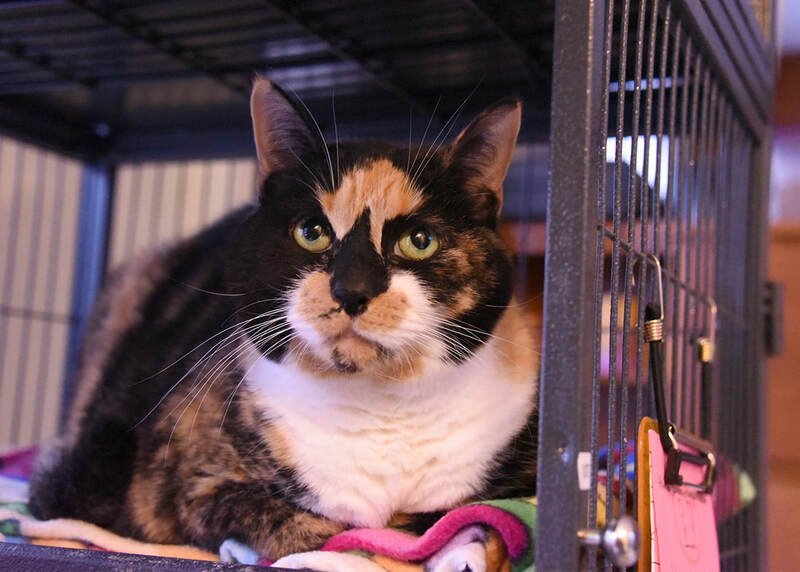 10/25/2017 - Hooray for Miss Peggy, one of our (former) resident FIV+ cats. 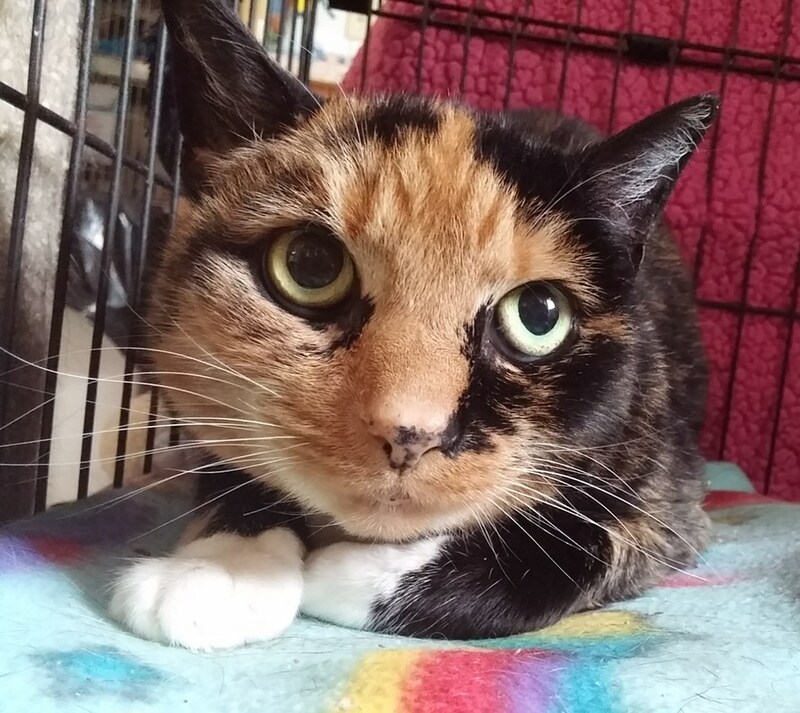 She recently went home to a place in Athol where the adopter reported that she could not have picked a better cat. Peggy and the 14 yr old chihuahua already live in harmony and sleep on the bed with mom. Speaking of adoptions. There have been quite a number of dogs adopted from foster care lately, including Tina, Rudy, Maggie, and Chico! And there are more adoptions on the horizon. Peggy approves. 10/7/2017 - Starting next week, we will be changing our Open Hours to Thursday, 6-8pm and Sunday, 11-1pm. When we start operating in Winchendon the hours there will be similar and we will be able to direct customers between the two shelters. Plus, we currently have a volunteer doing PetSmart Open Hours from 5:30-7:30 on Thursdays so the Thursday night crews can direct people to PetSmart, too. It's part of our continuing efforts to streamline the Ahimsa operations. 10/6/2017 - Cooper has gone home with a woman from Groton! This very cool cat has been with us much too long. She met him a while back but had some light construction going on at home. She was happy to find out he was still with us when her project was done. She'd been thinking about him ever since. Thus far, he will be the only one, but she hopes to add another friend for him. Happy trails Coop. The catio, his favored lounging area, is starting to get too cold for a hangout spot, anyways! Oh! Did you notice the very beautiful picture of Cooper? This is because one of our new volunteers, Carol Gove, is a professional photographer. She's been doing the photos for A Better Tomorrow and she gladly came on board to help us out. Beautiful Pictures = Quicker Adoptions! 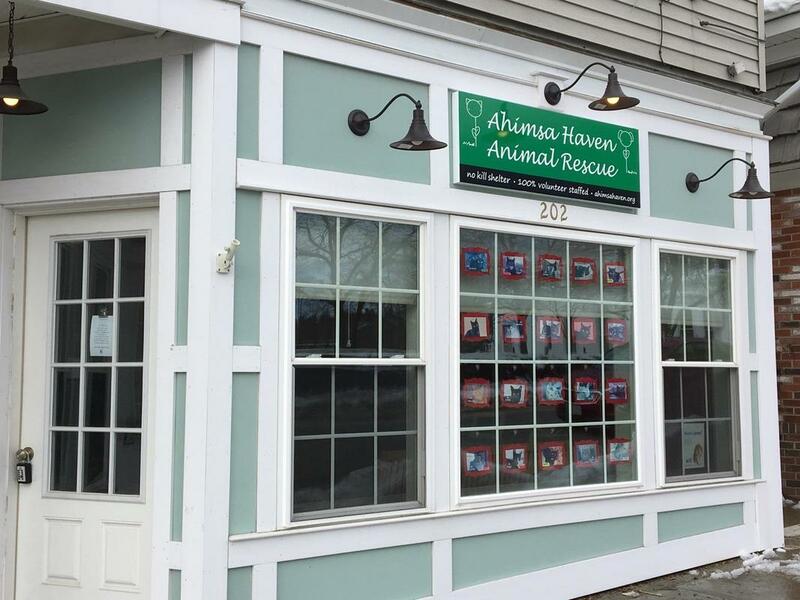 October, 5, 2017, Templeton, MA – Ahimsa Haven Animal Rescue, Inc. is happy to announce they are a recipient of a 2017 grant from the Massachusetts Animal Coalition (MAC) “I’m Animal Friendly” license plate program. Funds will be used towards Ahimsa's mission of spaying and neutering all of our animals prior to adoption and to keep the overall cost of their adoption as low as possible. The “I’m Animal Friendly” license plates are a program of the Massachusetts Animal Coalition. Funds are dispersed annually to organizations who demonstrate a need for and provide low-cost spay/neater services. 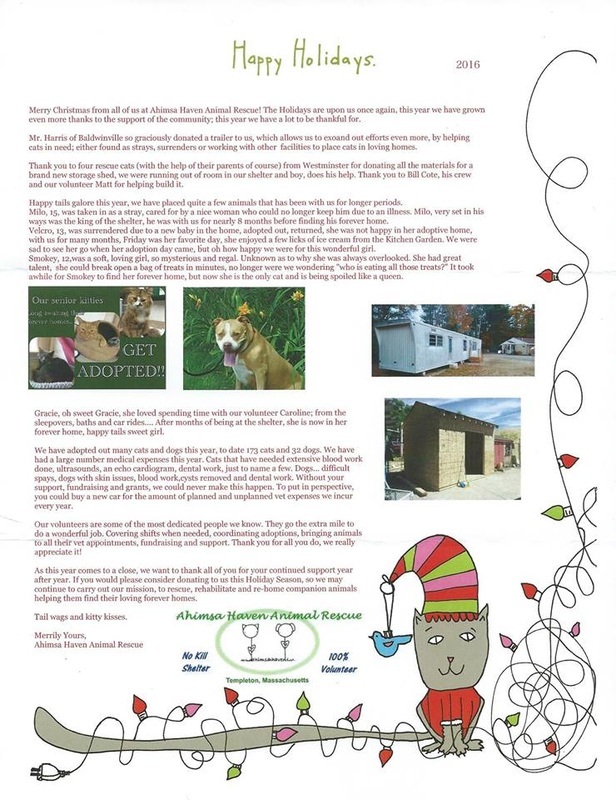 Ahimsa's mission is to "To rescue, rehabilitate, and rehome companion animals." Bringing adopters and homeless animals together, finding out what makes each one tick, and, through a thoughtful process, making a match that will last a lifetime remains our core activity. Ahimsa Haven was incorporated in 1999 as a nonprofit animal rescue group and we merged with C.A.R.E. 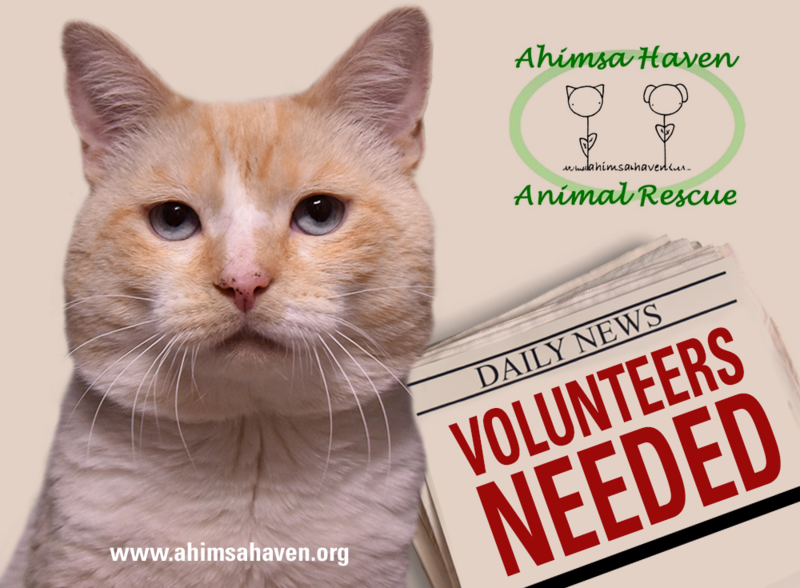 For Your Pets in 2016 to become Ahimsa Haven Animal Rescue, Inc. We are a 501c(3) organization and we raise money through donations, grants, and fundraising events in order to provide the necessary routine and emergency medical care for animals in our care. Every penny we raise goes to the animals - no one gets a salary! Truth be told, many of our volunteers are among our most generous contributors. 10/1/2017 - Yesterday, Nicole and Ed met with the many volunteers of A Better Tomorrow to get to know the crew and talk about Ahimsa and answer their questions. It was a very nice meeting and we at Ahimsa look forward to working with a whole new group of dedicated rescue people. 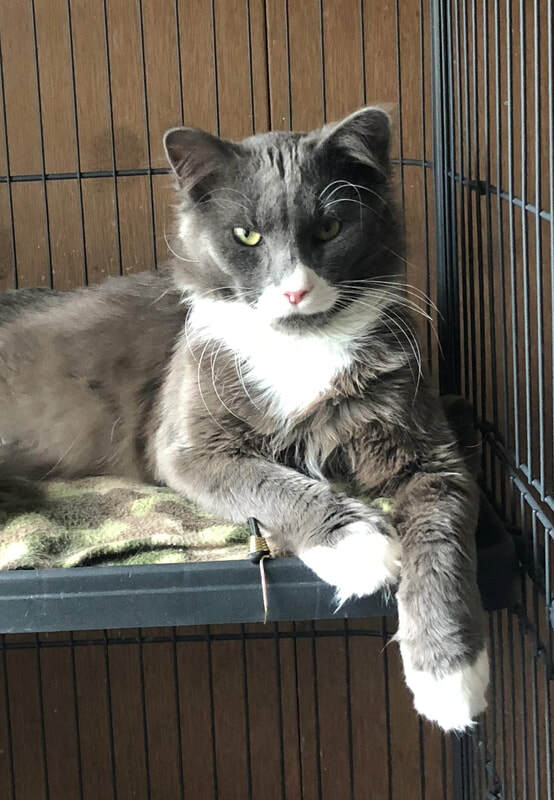 Since they have a number of cats to adopt out before the turnover, please check out the A Better Tomorrow Shelter for Cats website to see the 6 kitties that need homes. 9/30/2017 - Last night we had our fundraiser at Kimball Farm and we raised nearly $800. Our 50/50 raffle was a huge draw and the Danny Amendola signed football also brought in the dough. The football was generously donated by Mike Babineau, a regular at the Kimball car show. Plus, one of our recent volunteers, Ron, passed the hat around to his car club members and added some more to the kitty (yes, a pun) to make the night a huge success. It was a beautiful evening to be out there getting our name known to the people of the Lancaster area and to show off April's Cat-o-lac! A big thanks goes out to the people at Kimball Farm for having us there on their penultimate car show of the season. 9/28/2017 - It was a good month for our dogs Chester & Blue. Both found good homes thanks to the efforts of our Dog Program people. "Woof", they say which translates from dogese to a hearty thanks. 9/10/2017 - We had our 2nd annual Bingo event last night at the Swedish Social Club in Westminster and we all had a blast. We raised over $2000 to help out our animals! We are already looking forward to next year's Bingo night #3. We are expanding our shelter!!! 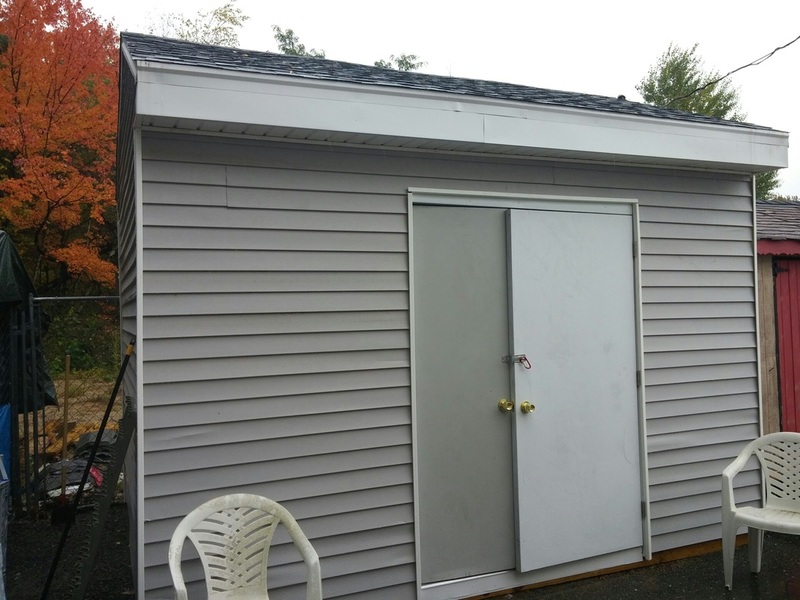 We are taking over the space now known as A Better Tomorrow Shelter for cats in Winchendon. We are also opening a thrift store in the store front right next door! Our goal is to be in the shelter Jan 1, if not sooner. All of the specific details need to be ironed out still. More info to follow about that. Thank you for all that you do to make our shelter great! We appreciate each and every one of you! We couldn't do it without your dedication and support. Here it is.. isn't it just adorable? So very warm and inviting. 8/30/2017 - The t-shirts have started trickling in and they are looking awesome. If you missed your chance to order one, Nicole has some extras. 8/17/2017 - The t-shirt campaign was a rousing success. If you missed your chance to order one we purchased some extras so you might be able to get one at our next yard sale in September. 8/11/2017 - Rocky's cat Dutchess has apparently found the right home. It's been less than a week. Check out the video. That is one content cat. 8/10/2017 - ONLY 5 DAYS TO GO in our t-shirt campaign. Be sure to visit our Upcoming Events page for details! 8/5/2017 - Longtime residents Cookie and Coco went home last night and we couldn't be more pleased. This was our 1st case of having to adopt a cat & dog combo together and we were getting a little worried and they were getting a bit ansy. But it all worked out. 7/30/2017 - It was a happy day for two of our most loved kitties, Barnyard and Britches. No more hugs for the volunteers but we are very delighted that they went home to the lovely Adams family. 7/24/2017 - Thank you to all of the people who donated to our yardsale and to those of you who did some shopping. The weather prediction was looking sketchy earlier in the week but we couldn't have asked for a better July day. 7/22/2017 - It's been a long time coming but Cici and Dupli finally went home. They will miss the catio but we are certain they'll like their new home even better. 7/19/2017 - Hi all. Don't forget that we are having a YARD SALE this Sunday, 7/23 from 8-2. If you have any donations we would love to have them for the sale. The best time to drop off items is Saturday evening since storing the items is a bit difficult due to limited space. However, we'll take them any time we can get them, even if it's Sunday morning! Some things we can't take are old computer monitors or TVs. This is because we would have to pay a fee to dispose of them if they didn't sell. Thanks for your consideration. 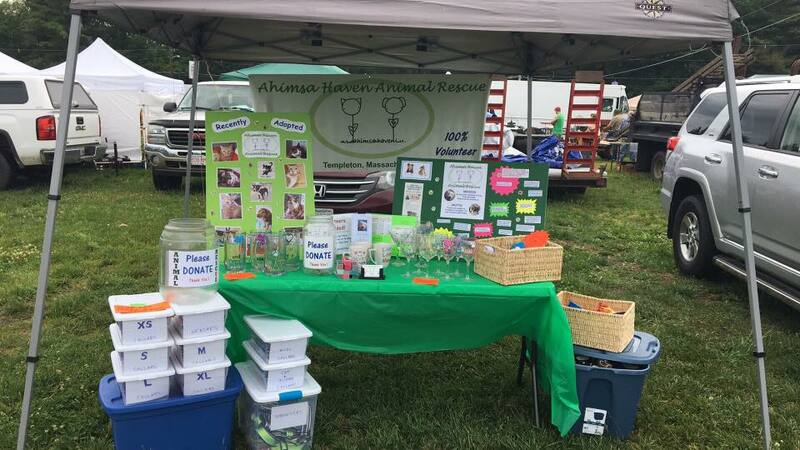 7/15/2017 - Ahimsa was at Brimfield again and it was a particularly nice day to be raising funds for our group. Here you see Isabelle and MaryClare raking in the cash and spreading the word! We met many generous people with some great animal stories to tell. 7/3/2017 - We participated in Fitchburg Civic Days with our fundraising partner Uno's. TONS of people. We had a really great time and raised a bunch of money for the shelter. We will definitely be doing this again next year! 6/24/2017 - We had an invite to participate at the Orange Flea Market so we took the opportunity to showcase some of our volunteer Sam's glassware. And a nice surprise showed up, Happy. 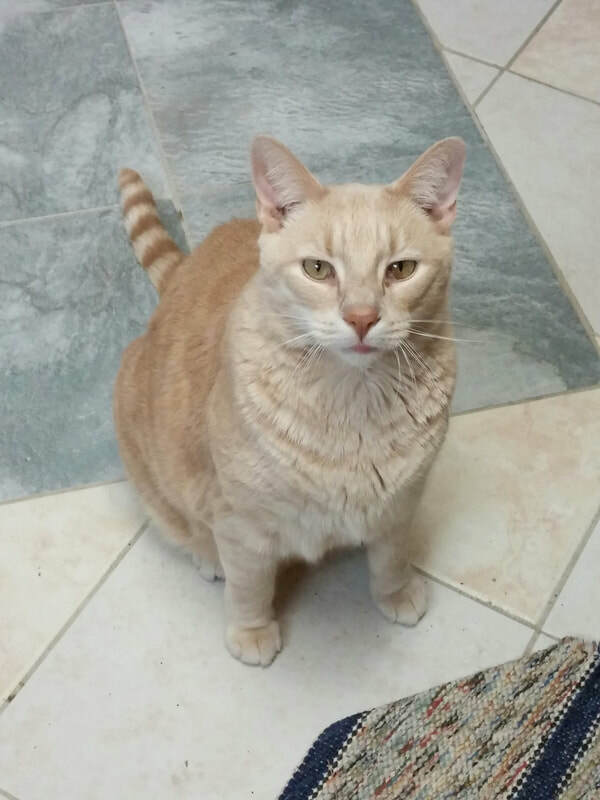 He was adopted from the shelter in the spring of 2014 and he was looking great! 6/12/2017 - As you may know, Ahimsa Haven, Inc. merged with C.A.R.E. For Your Pet, Inc. last year to become Ahimsa Haven Animal Rescue, Inc. 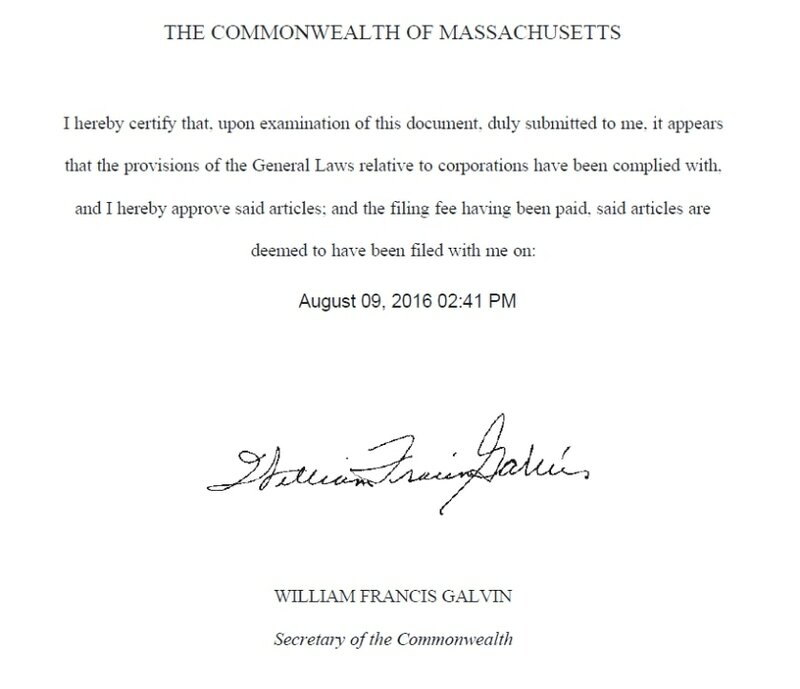 It became official on 8/9/2016. 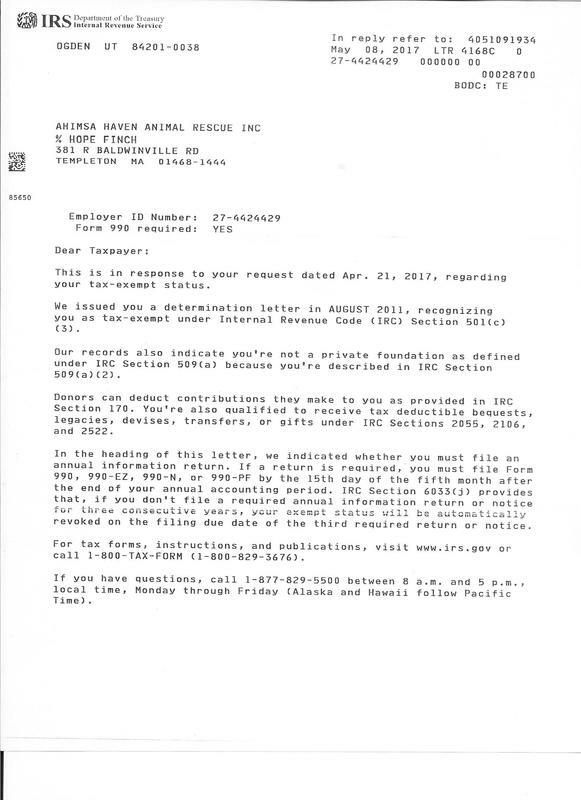 We only recently received our updated 501(c)3 letter and the name change just showed up on the IRS website today! Took a while but it was worth it. 6/5/2017 - Make sure to join us at the South Side Grille this Thursday (6/8). A percentage of your meal's proceeds goes towards helping the shelter. Make sure to bring the flyer - downloadable on the Upcoming Events page. Plus, we will have a tent set up at the Summer Stroll in Leominster on Saturday. Why don't you stop on by for the festivities or just to say HI. 5/16/2017 - We had a very successful yard sale no too long ago. We hope that you were able to come. 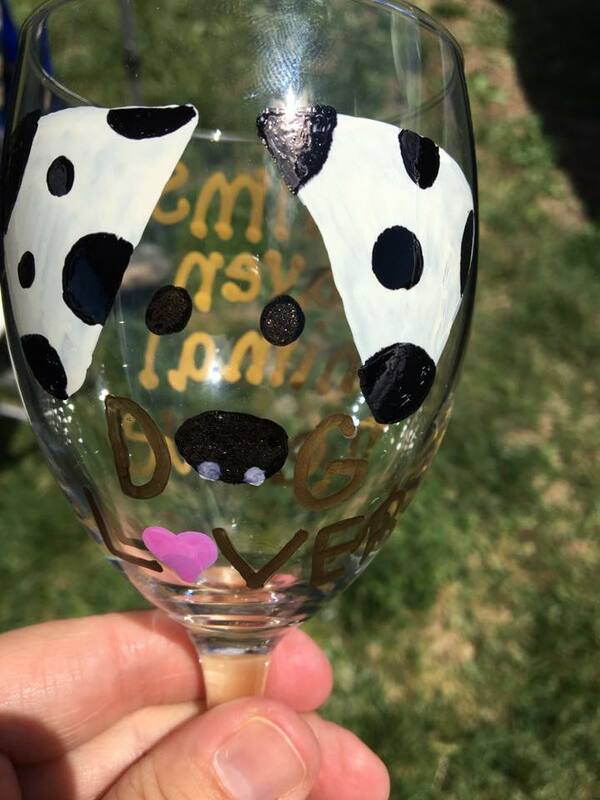 We debuted some fine glasses made by our volunteer Sam and she hopes to make more in the future. Keep an eye out! 4/26/2017 - We usually present our happy news on this page but today we lost a very good friend of ours. 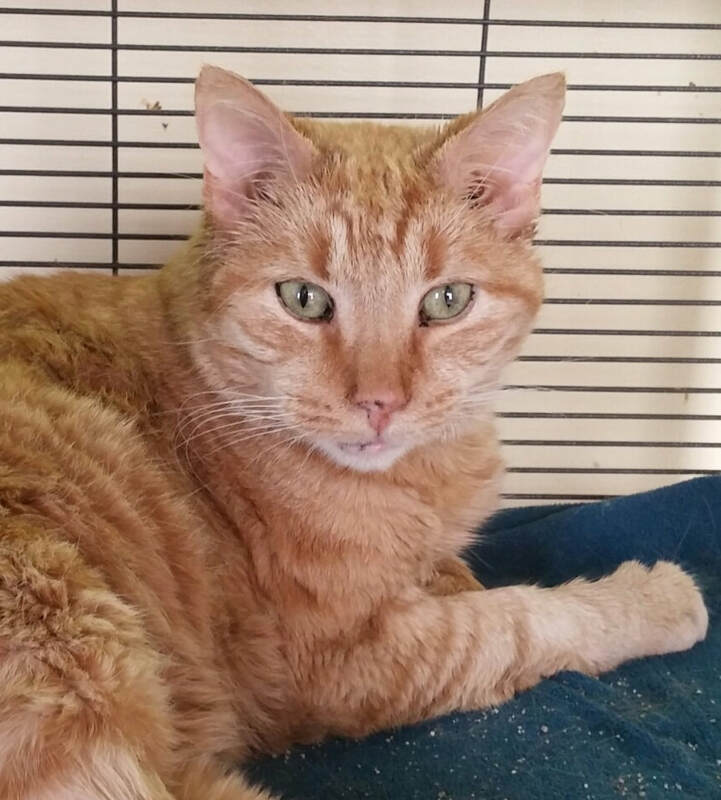 We will miss him very much and the animals that have passed through our little shelter in the past few years have been lucky to have had him watching over them. He was truly one of a kind. We were shocked and saddened to hear about the passing of Richard "Rocky" Rockwell this week. Rocky was a big presence at our organization, and he will be missed very much. We will miss his kind heart and enthusiasm. 4/23/2017 - Lots to report. First is that we had a HUGE spring cleaning on Saturday and we hope that when you stop in at the shelter you will see how much it's opened up. We also got a handle on where supplies are to be kept and that should make it easier on our volunteers to find what they need. Also, we had adoptions for dogs Axel and Crusher as well as a triple cat adoption within the past week so that was excellent news for us and them. And Papacito and Bella went to a nice home within 3 days of arriving at the shelter. Practically a record. Plus, we are preparing for our yard sale on 5/6. Lots of good items and we are still collecting. The sale is actually town wide so be prepared to spend and don't forget to bring your wallet! 4/19/2017 - Longtime PetSmart residents Nellie & Blackie finally went home! We can't be more excited that these senior cats finally made it out of the store. Yes, they occupied the largest pen in the store but let's be honest - a box with people staring at you and tapping on the window all day is no place to call home. Good luck, kitties. 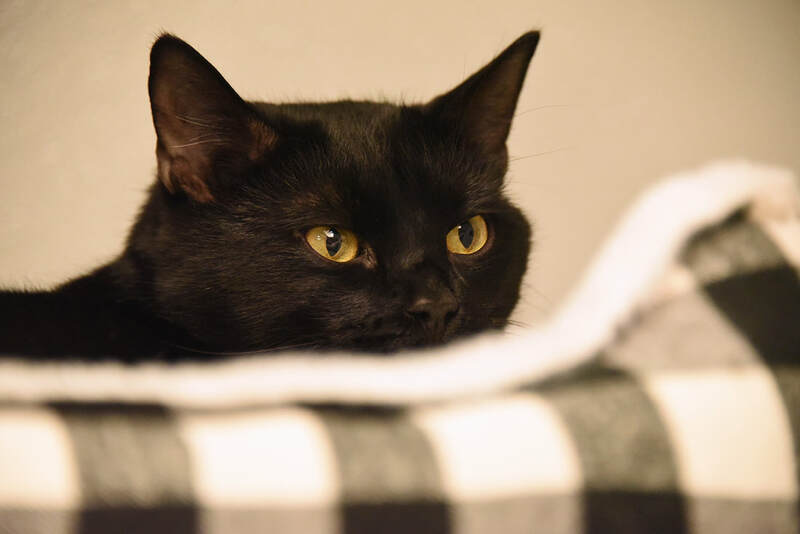 Blackie, not too long before being adopted, was patiently waiting. 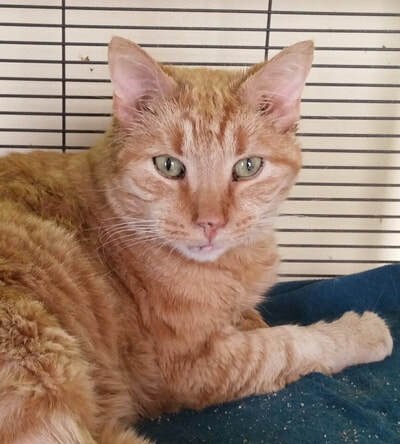 Nellie started of very shy but blossomed and would always look for you to pet him (yes, him). 4/11/2017 - Bella and Papacito came to us from a family who had to give them up. Their family was expanding and the landlord said these little ones had to go. It was with much sadness that Bella and her son Papacito were given up to us. We need to find them a special new home. Both are VERY spry even though their ages are estimated to be about 10 years (they really seem younger). The previous owners said that they are snuggly and friendly with all people and that they are crate and house trained. We have found that Papacito is tremendously outgoing and will come right up to you. Bella is taking a bit more time to warm up but it's only been a day (4/10). We would like to keep these two together. 4/8/2017 - We just finished up two fundraising events today. The first was the Young Children's Festival (our 3rd year) in Ashburnham and the second was our bowling extravaganza at Gardner Ten Pin. Both were amazing and the participation was wonderful to see. Thanks go out to all of you who attended and to GTP and those sponsors who helped make the bowling event so successful. 4/5/2017 - We'd like to thank Hannaford's in Gardner for letting us be the benefactor of their collection jar last month. So many people contributed to the success and the animals would like to thank all of the people who donated to their cause. 4/2/2017 - No foolin'. Spookie has gone home! This 4 year old male was diagnosed with FeLV and FIV. Because of his FeLV status he should generally be an only cat because the disease is easily spreadable. 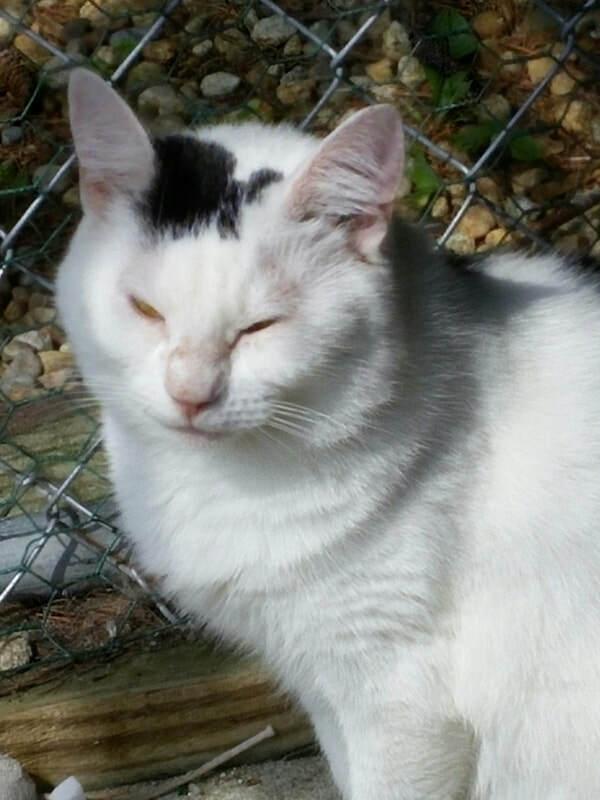 However, a very nice lady from Bedford who specifically adopts FeLV cats just to give them homes came to meet Spookie and took him home this morning to meet her other FeLV kitty. Not only will he have a new home but he'll have some company. A very happy day, indeed. 2/25/2017 - Bowser didn't take too long to get adopted. That's pretty awesome since he is FIV+ and sometimes it takes a while for these kitties to get adopted. 2/24/2017 - Foxy has left the building (OK. Technically, she had already left the building because she was in foster care). She was just adopted by a retired couple from Athol who had recently lost their dog and were looking to rescue another. 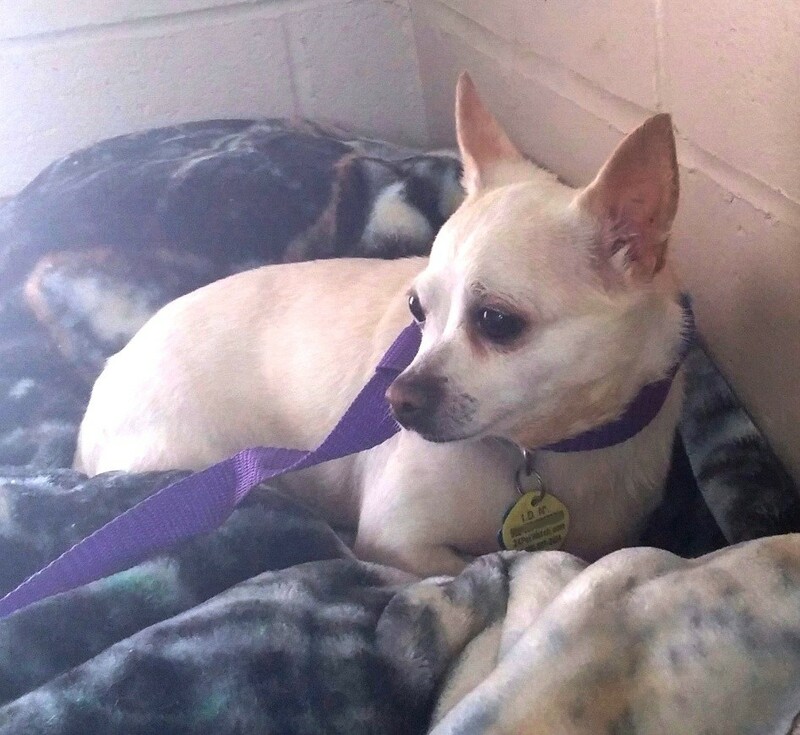 They saw Foxy Lady's picture and then heard her story and could not wait to get her. Foxy settled right in over there and her new people love her to pieces already. They are clearly there just to dote on our girl. 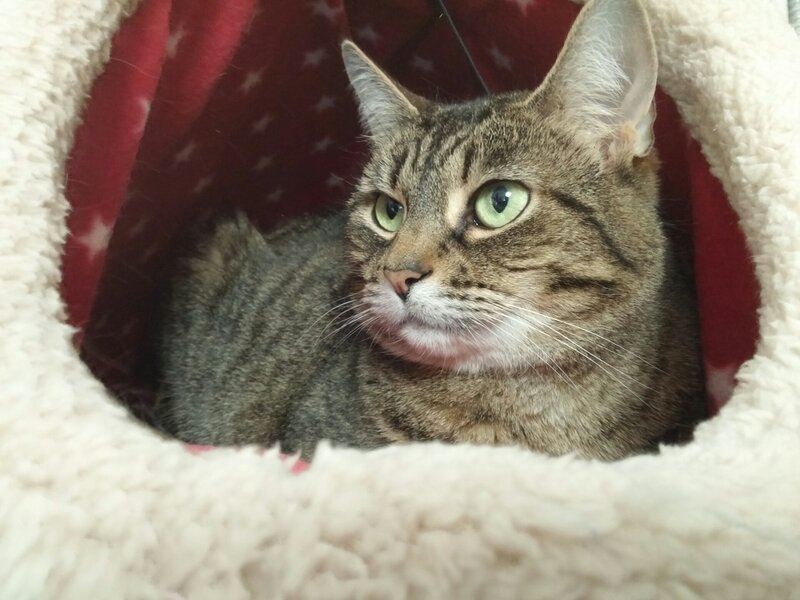 Interestingly, Foxy was originally adopted in November but quickly returned because she was very rambunctious. She took some time to settle down in a foster home and she was the better for it. Thank you Kristen for fostering Foxy! You did an awesome job. 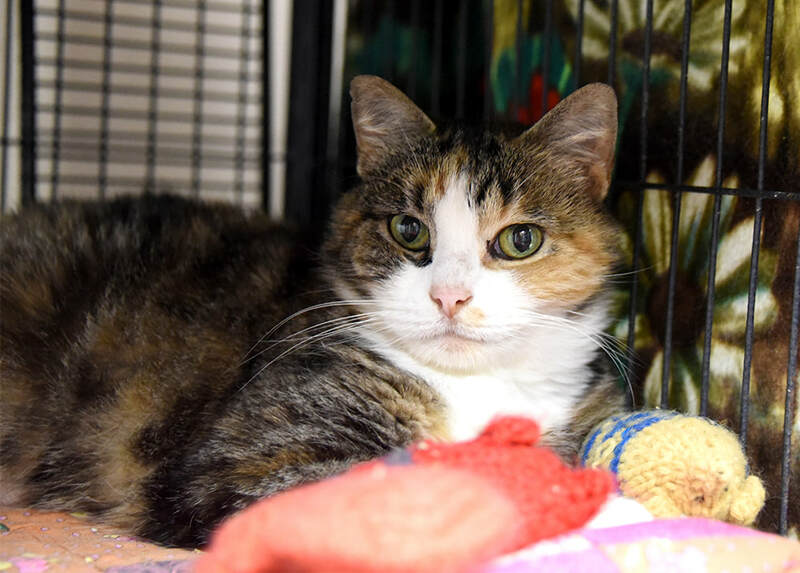 2/19/2017 - Long time shelter presence Daisy has finally gone home. It took about 11 months but it's proof that we find a home for them all and keep them as long as we need to. Congrats Daisy. 2/15/2017 - And this came to us from mystery person through Amazon. Thank you so much for you generous contribution! 2/12/2017 - In spite of the wintry weather today we had a pretty good turnout at our Valentine's Open House. We had a lot of fun talking, eating baked goods, and visiting with the animals. Plus, our food drive was very successful and many people bought squares for our 50/50 Raffle. Check out our Facebook page to choose a square! Thank you to all who braved the snow. Only about half of what we collected today! 2/9/2017 - Not a lot of "news" per se lately but of note is that we ended the year with 216 cat, 42 dog, and 2 ferret adoptions. The earlier lower numbers cited in January did not include some later data. Also, the Fundraising Team has started padding the events calendar so take a look at the Upcoming Events page to see what we have coming up. That includes this Sunday's Valentine's Open House from 11-3 (even if it snows). "...they are settling in very well. Trigger is still spending most of his time under the bed so far; Tabby slept on the bed with me last night, and this morning she woke me up at about 5:30 and allowed me to pet her for a long time. I am pretty sure they will like it here, and I feel very lucky to have found them." 1/14/2017 - Bubba & Skylee Update - Thankfully, both have responded well to medications and are on the mend. 1/9/2017 - Prayers and donations needed, two cats in emergency! 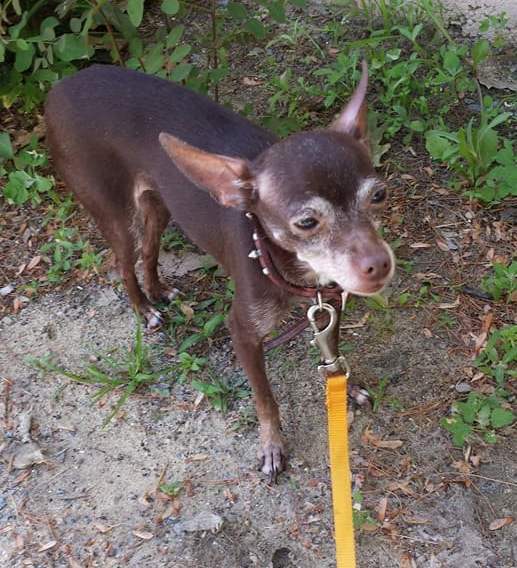 Sunday morning Skylee was taken to Westford Veterinary Emergency with possible internal bleeding. She is being assessed as we speak, prognosis unknown. We rely completely on donations to provide both routine care (like the $500-$700 we knew we would spend on Samantha the fox terrier for senior work up and dental surgery) and unforseen emergencies like Bubba and Skylee. This could easily shape up to be a several-thousand dollar weekend. Any contribution, no matter how small, is GREATLY appreciated. If you are interested in helping out please go to the "Donations" page. Your donation is tax deductible, and secure. 1/6/2017 - We ended the year on a high note with quite a few adoptions. The totals for the year were 206 cats, 36 dogs, and 2 ferrets. Check out the "Adoptions" page to see many of the familiar names. Though we may miss them at the shelter we can take great satisfaction in knowing we found them all homes. Thank you to everyone involved. Also, with the new year comes a new phone number - 978-939-8464. Don't worry, the old number will work for the next three months. It should be noted that our answering machine with the old number resided in the home of one of our former volunteers for the longest time. We thank Nancy Regan for her continued support during those many years. The Open House was a great success. We thank all who came and participated in the bake sale and who brought us gifts of litter, food, paper towels, cash, and good will. In addition, we had two doggy adoptions at the event, Buddy and Maizy. An excellent way to end the year! 12/12/2016 - Kindle was adopted last week and she wanted to let you all know how she's doing. It was very considerate of her to keep us in the loop. Thanks Kindle. 12/8/2016 - We just wanted to say thank you to all of you who have contributed to our yearly Holiday Fundraising campaign and to those of you who give throughout the year. Your generosity helps keep our shelter running and allows us to take care of the many animals in need. To date, we have adopted out 185 cats, 36 dogs, and 2 ferrets to loving homes. 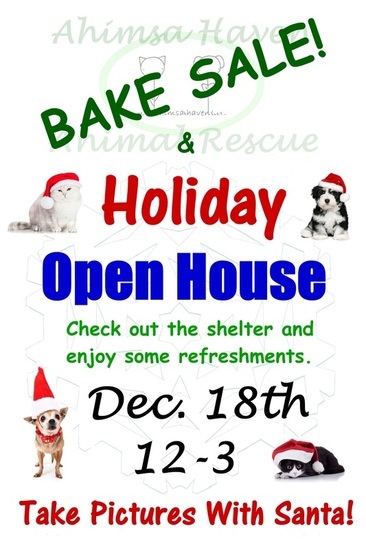 For those of you who live nearby we hope that you'll join us on December 17th for our annual Holiday Open House. Shadow longing to play with that little doggy. 11/19/2016 - We had a great time at the Red Apple Farm today and the weather couldn't have been more perfect. In attendance were our stars Shadow and Maizy and boy did they get a LOT of attention. Thank you to all the people who stopped by our tent. Hard to believe this was our third year there. Maizy whispering secrets to the pig - just one of her many visitors! 11/17/2016 - Every year we send out a letter to our many patrons to let them know what has been going on throughout the year. We try to emphasize some success stories and let people know just how much time and money go into taking care of the animals. We at Ahimsa take pride in our efforts to rescue, rehabilitate, and rehome our furry friends. Many times, we spend the money to take care of animals with issues and we often find ourselves wondering how we'll continue to do this. Well, we count on you to help fund this little adventure and that is why we ask for donations, particularly at this time of year. So, please take the time to read our holiday plea and give as you see fit, either by check or by a payment via this website. It really makes a difference. Thank You. 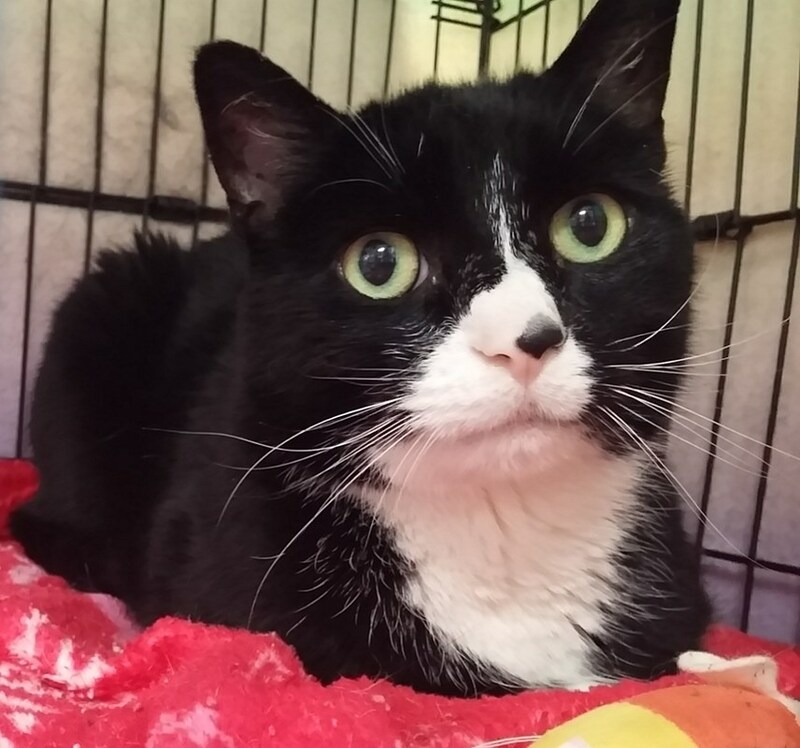 This upcoming weekend (11/11-12) is an adoption weekend at PetSmart in Leominster, MA. Come see our beautiful cats. They are all sweeties and deserve to find a good home. Hope to see you all there. We had a photo contest for Halloween and we have a winner! Yoda made a good showing and his human Diane Will take home the prize. Congratulations and thanks for participating. 10/29/2016 - Well, we had two fundraising events today and we thank everyone who came by to see us at our Open House and at the Templeton Pumpkin Festival. Also, Prince & Hershey finally went home this morning! They were giving their new family members kisses in the car as they drove away. It was a sight to see and theses dogs were HAPPY. 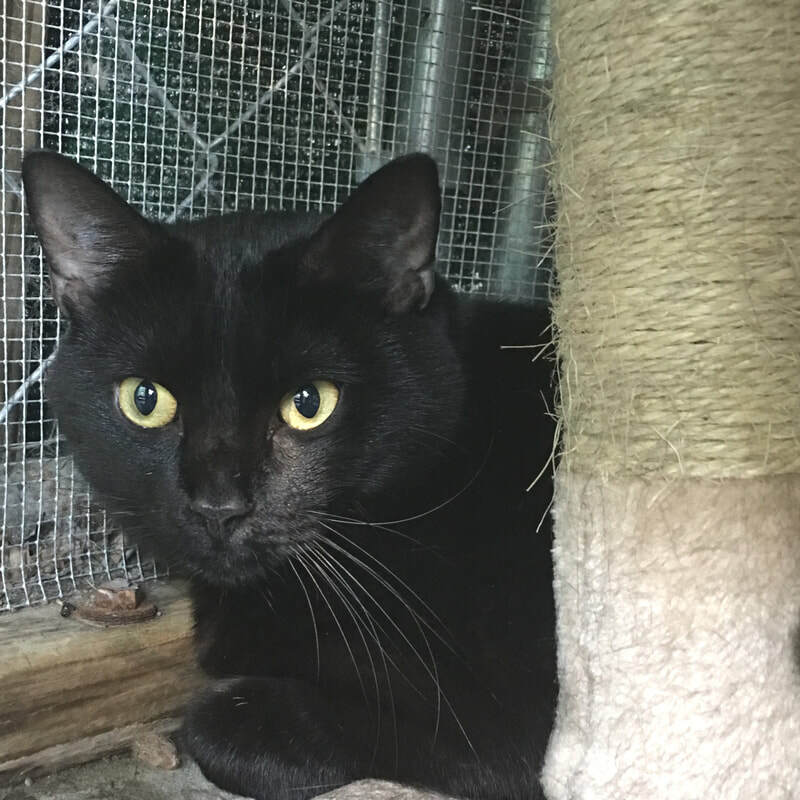 10/28/2016 - We are very happy to announce that Blackie finally went home yesterday. She has been at PetSmart since June and really deserved to go home much sooner. We are sure that she will enjoy her new family. Congrats. Now let's encourage people to take part in our Take A Chance On Me Campaign and find some more kitties homes. 10/22/2016 - It was a rainy day at the 2nd Annual Westminster Cracker Festival but the public came out to take part in the fun. The bands were amazing and varied and the food was terrific. We at Ahimsa had our tent set up and quite a number of people were interested and made donations. It was a good way to get our name out in the Westminster area. Thanks go out to Nicole, April, Blake, Ed, and Kelly for holding court - Prince & Hershey, too. They were a hit! Congrats go out to the former Nu Cafe in Gardner. They are finally independent and now called Cafe Edesia. "Why does this matter to a rescue site?" you ask. Well, Ahimsa often meets there for Board and Fundraising meetings and Charlie never boots us out even when we go past closing. It's kind of like our cozy annex. Thanks for your wonderful space. 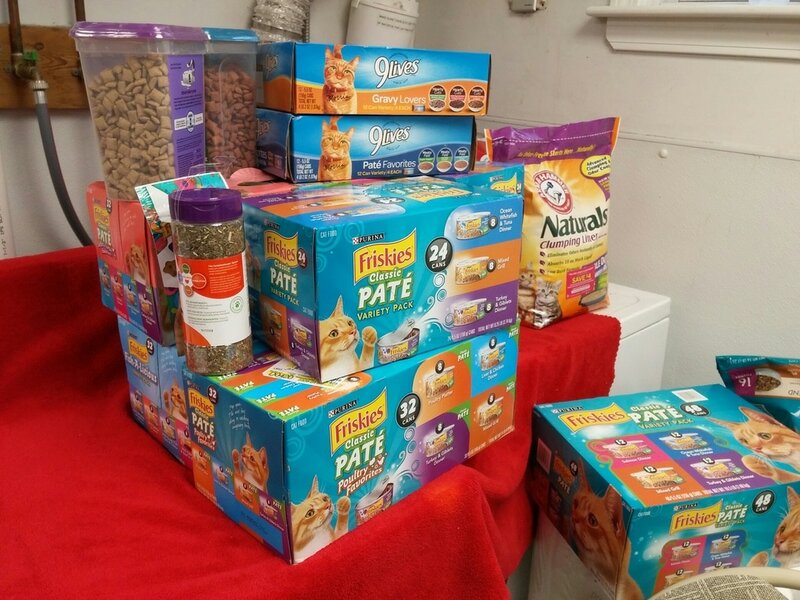 10/11/2016 - It was a busy month in the cat department during September. We adopted out 36 cats. That is nearly twice as many as in any other month this year! The kitten Palooza at PetSmart helped quite a bit but adult cats were also being adopted at a great rate. Keep up the tremendous work, Ahimsa volunteers. 9/25/2016 - Today, Gracie finally found a new home and we hear she is quite comfortable on the couch with her new family. It has been WAY too many months for her at the shelter. We will miss her but she truly deserves the best. 9/20/2016 - Mr Moo, who was in quarantine for 4 months, was released yesterday and quickly scooped up. How's that for speedy? He was happy to be squeaking his green toy in his new home. 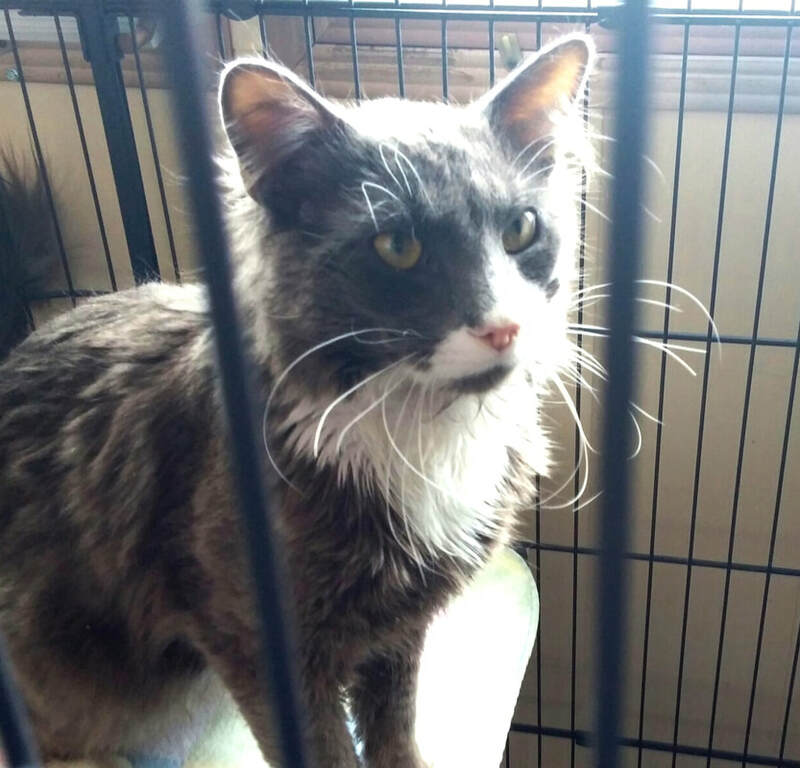 Occasionally, we get a cat in who has a wound of unknown origin and Massachusetts State Law requires us to quarantine the animal for 4 months. Basically, they want us to look for signs of rabies. Lucky for Mr. Moo, the law just changed. It used to be 6 months! We were all very happy to hear of the change because it was pretty evident to us that this was just too long for our kitties. 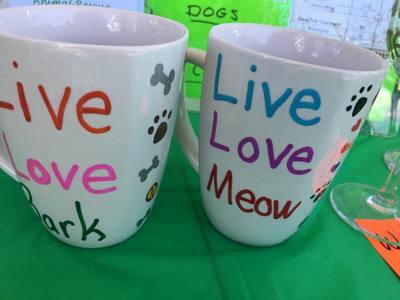 Our latest yard sale and Kitten Palooza, both held on September 17th, were rousing successes. We raised over a thousand dollars from the yard sale and we adopted out 7 cats in less than 24 hours, in no small part due to the kitten party! Thanks to all of our visitors and to the many volunteers who make our events possible. Oh, and we drew the winning ticket for our Oil Raffle. The winner was Ray Watt. Congratulations to you, Ray. 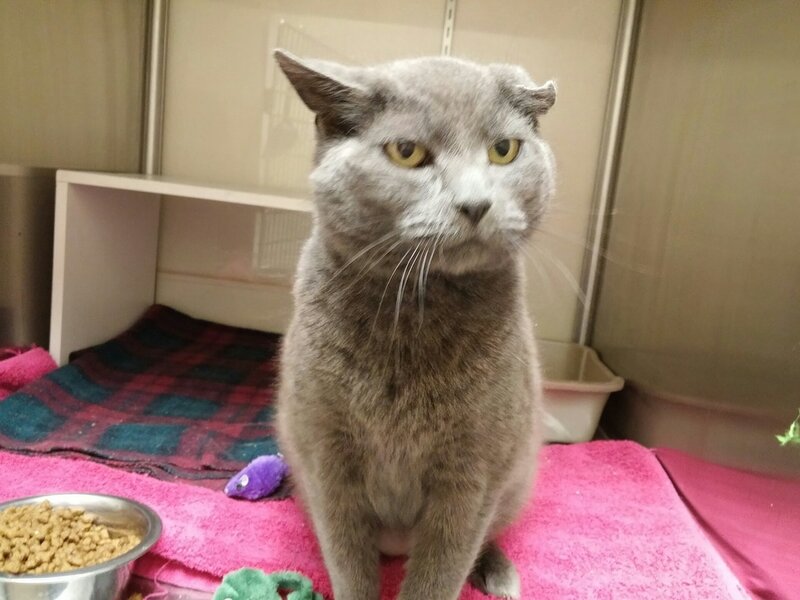 Some really cool news - Bella Blue, one of our resident FIV+ cats, was just adopted on September 11th. That was fast. 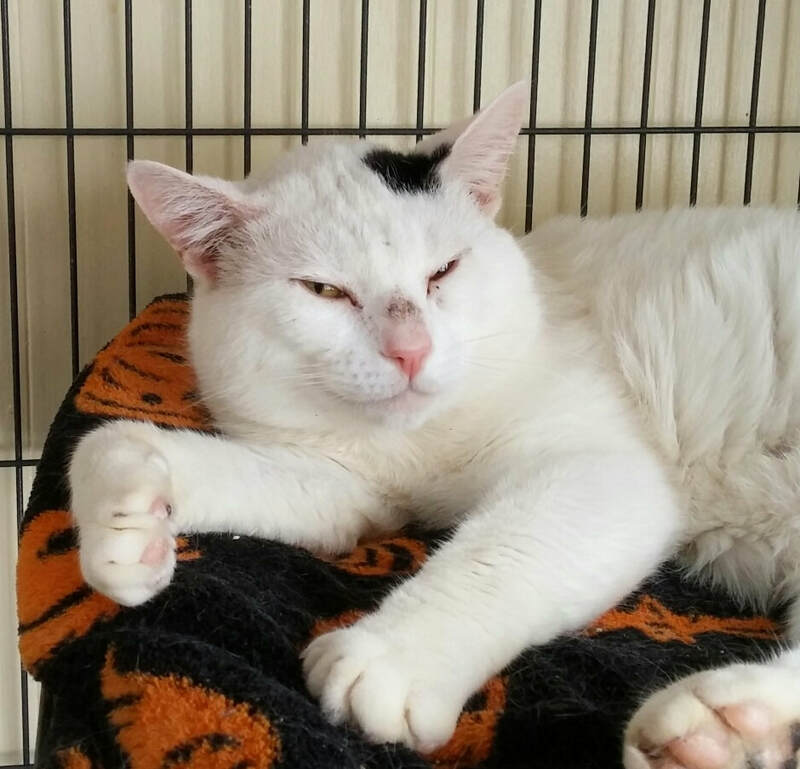 We hope that more wonderful folks come forward to take in Stan, Jack Jack, and Patches, also FIV+. We have had a number people come in and tell us that they have had FIV+ cats who have lived long, normal lives. That is good to hear. BBQ Bingo Night at the Swedish Social Club was a blast. We also raised a lot of money for Ahimsa's animals and a good time was had by all. A big thanks goes out to the club and to organizer Nicole (who also happens to be our President). We are definitely going to do this again next year. As most of you know, we have obtained a trailer to use for isolation purposes. We have William W Harris, Inc. to thank for that as they had two unused trailers and they generously donated one to us - they even let us raid the other one for parts! Some time in 2015 the Ahimsa Board began talking about the possibility of obtaining just such a thing so that we could have better control over the handling of sick animals or animals who came to us with unknowns. It was decided that because we have so many cats that the trailer would initially be used for cat isolation upon receipt, somewhat like what we have at PetSmart. As the cats were vetted they would be moved to the shelter or PetSmart as space allowed. The offer of the trailer was made in the latter part of 2015 but we had to jump through some hoops with the town (thankfully, a fairly easy process) so delivery came later. So, the trailer was towed to its current location at our shelter by Ray Bourgeois on March 4, 2016. It was a little cold but weather was good to us and we were able to get it in place sooner than expected. We had figured snow would be an obstacle but mother nature threw us a bone (animal reference intended). Shelter Manager Marjorie guides the trailer into place. 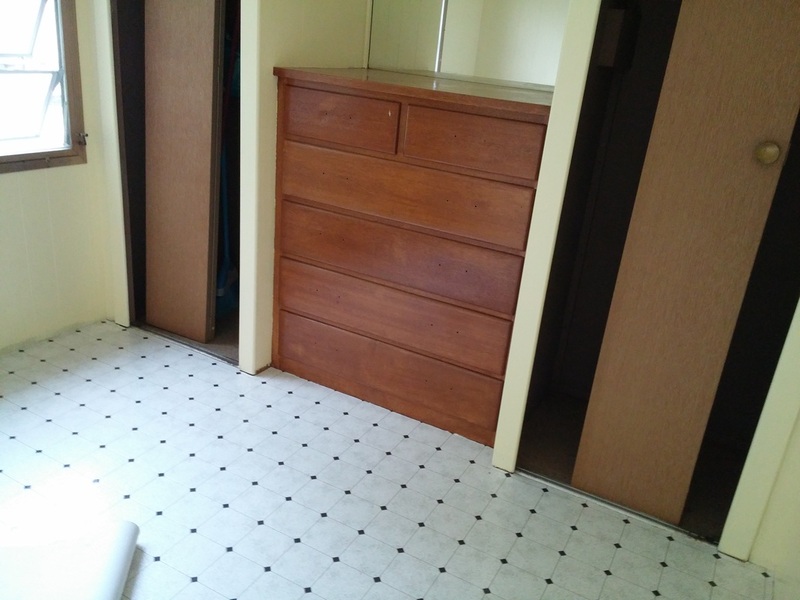 Here are a few "before" pictures. It was basically in good shape so we were all very pleased. Still, to make it an isolation space there was some work to be done. Soon after, a few of us met to figure out just what needed doing and what areas of the trailer would be used for what purposes. We established that the left side would be for sick animals, the middle would be an office, and the right side would house the incoming animals. We then identified a whole slew of tasks and got to work. While were contemplating what we would do when we actually got cats in the trailer, along came our first emergency. We had to intake a bunch of cats who were abandoned in a building and who had no place to go when the building was soon to be demolished. Thus, the trailer was unceremoniously christened and it hasn't been empty since! We figured it out and that is sometimes what we have to do in this crazy world of animal rescue. We got electricity today (10/19/2016) and we are very excited. Now, normally you hire someone to come in and do a job, pay them, and send them on their way with check in hand. However, we had the good fortune of hiring Matt Farnsworth, the owner of Farnsworth Electric of Athol and he loves animals so much that he gave us a very good deal. He worked on it in his spare time and completed the job in good time. This included wiring and installing light fixtures and heating units. Also, we must thank Templeton Municipal Light for installing the pole and WJ Graves for not only donating the sand needed for the pole but delivering it, as well. Quite the team effort and the cats thank you all. Rocky turns the lights on! It's like a Christmas tree at the shelter. Building a new shed. Who would have thought it could be done? Well, our president Nicole. That's who. We had talked about it in Board meetings but investing in it always made us queasy. It's not really our land and taking it with us would be difficult. It just seemed like it wasn't in the cards. 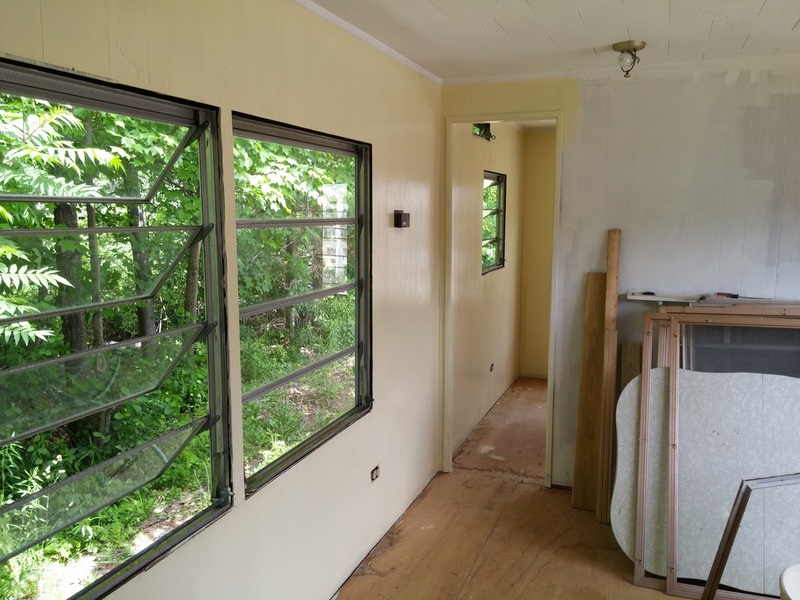 But Nicole was able to find builders to donate their time and people to donate the materials. Over a number of months she collected the necessary materials before building commenced. The materials were donated by Debbie & Norm Ouelette (her parents) and the shingles by National Lumber. Finally, Bill Cote and his crew were able to get to work putting it together. The shed began to take shape and it was HUGE. We were startled and pleased at the same time. We can now store supplies properly and we can still use the smaller shed for fundraising items. It will allow us all to do our jobs better and we are very happy to have it. Thanks to all parties involved for all of the hard work! Here is the shed as it was in July.